Valentines Day needs a makeover. 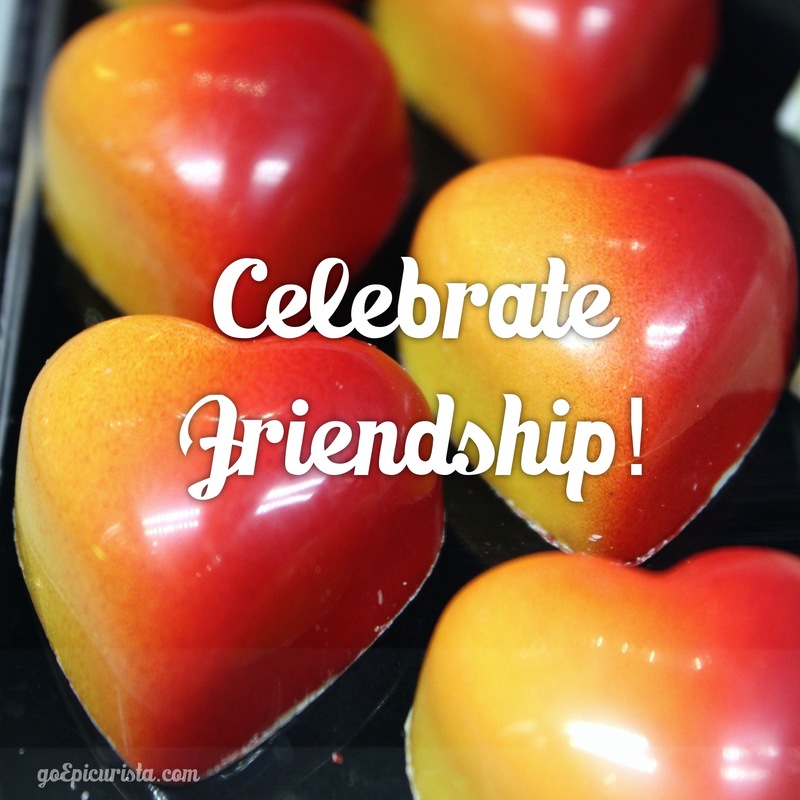 It’s time we celebrated friendships! Whatever happened to Valentine’s Day being about friendships and not just romantic love? 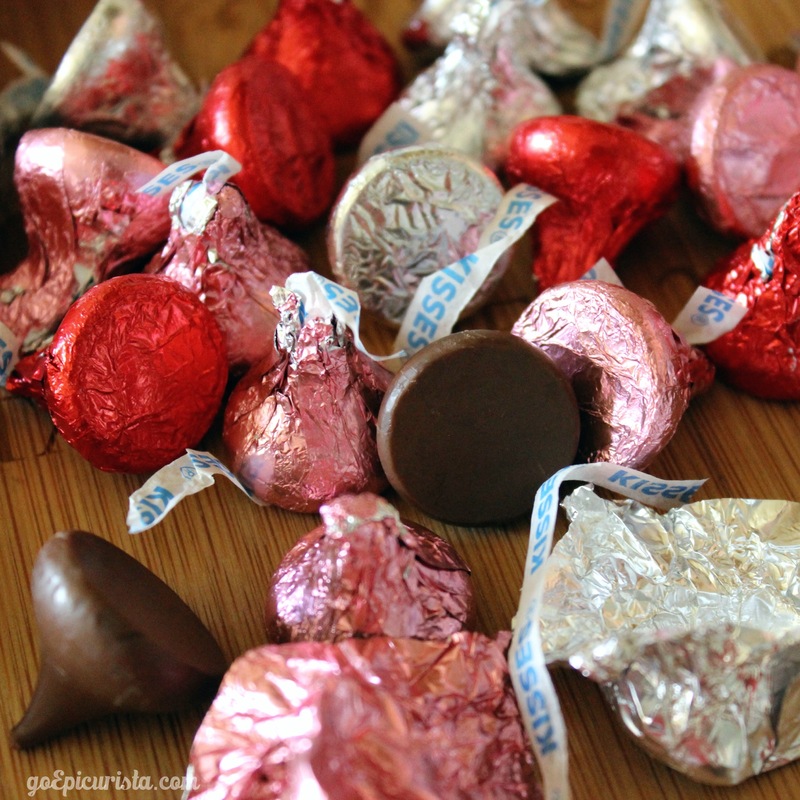 Do you remember being in elementary school, where on Valentine’s day, you would give out heart-shaped candies and notes to your friends with cute little messages like “Best Friends Forever”? It was such a happy day. I remember preparing my little gifts the night before and looking forward to going to school the next day. There were no expectations or pressures of insanely over-the-top romantic gestures and no feelings of inadequacy or shame for being single, as if you were the only single person on earth. In the US alone, as of 2011, there were more than 102 million single adults, 43% of the population, according to the U.S. Census Bureau. I’m sure that number has increased in the past few years, so why is this day only meant to be enjoyed by a little more than half of the population? It’s time to change that. 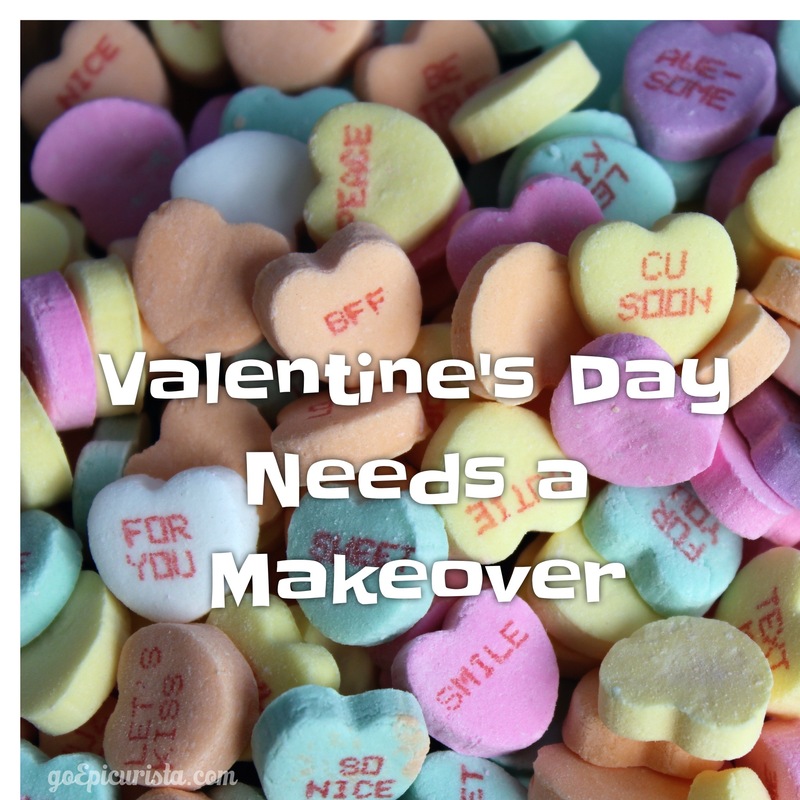 Valentines Day needs a makeover. Yes, I know Valentines is the designated holiday for romance here in the US and in most countries around the world, although in some like Finland and Guatemala, they also call it “Friends Day” or “Day of Love & Friendship” which I think is the way to go. Right now, many of you are scrambling to make reservations for a romantic Valentine’s dinner on February 14th, which by the way, is the second busiest day of the year for most restaurants, second only to Mother’s Day according to market research. Is it really that romantic to be in a crowded restaurant trying to gaze lovingly and whisper sweet nothings to your sweetie, all the while the couple on your right and the couple on your left are trying to do the same thing, sitting less than a foot away from you? There is no whisper so soft that it can’t be heard when you’re so close to your neighbor that you can eat off their plate. Now, don’t get me wrong, I am not advocating for husbands and boyfriends to boycott the holiday and refuse to take out their lovely sweethearts out for a special date to celebrate your love. I would surely be hung for that! There are some great restaurants out there that understand the importance of leaving a bit of space between tables to provide the perfect romantic ambiance, at the expense of their cover count. If you can get one of those coveted tables, then go for it and make it a magical evening. What I’m advocating is this, and I think most ladies will agree with me, it is much nicer and less pressure when that romantic dinner happens “out of the blue” any day of the week, just because he felt like it, and not because he gave in to society’s expectations. A romantic gesture should be about your expression of love that happens all year round, not the expectation of it on one day of the year. Ladies, do you agree? Guys, surprises are much more romantic, trust me. I’m proposing an image makeover for Valentine’s Day because many adults, both single and in a relationship, find this to be a dreaded overly commercialized holiday. But it doesn’t have to be. Instead, Valentine’s should be about celebrating friendships and all the people in your life that are there for you through thick and thin, both your romantic partner if you’re in a relationship as well as your friends that have known you since your first crush, when your relationship status changed to “in a relationship”, through heartaches and beyond. If we do this, all of a sudden it becomes a positive day instead of a depressing, “let me eat a whole box of chocolates and follow it with a pint of ice cream” kind of day. How do we accomplish this image makeover? It’s simple. Host a party at home and invite your friends over. Make it casual or make it lavish, it’s up to you. Open a nice bottle of wine or two, cook, laugh, and enjoy. Friendships are meant to be celebrated. You don’t have to go crazy, you just have to make it happen. If you don’t feel like staying home or are not inclined to host a party, there are some great events happening around town this time of year that can be as much fun with your friends as they would be with your significant other. Search through the calendar sections of your paper, google it, ask around and I’m sure you will find something fun that would be of special interest to you and your friends. Make it a group of couples and single friends, make it a girl’s night out, make it a double-date, whatever it is, make it a celebration. You can choose from movies or concerts in the park, cooking classes, pub crawls, food tours, artsy events, spa days and more. The point is there are plenty of choices out there for you to get the whole gang together and celebrate this special day of the year. I’m planning a big double-date, actually a quadruple date, with a picnic and movie in the park, where the feature presentation will be great food, wine and most importantly great friends. And there you have it! Voila! Valentine’s day makeover complete. How do you plan to celebrate your friendships and give Valentine’s day a makeover? If you need ideas, sign up for the goEpicurista Insider and check out my upcoming post on the Top 9 Best Events to Celebrate Valentine’s Day with Friends in Orlando plus tips for putting together a picnic in the park that can rival even the best restaurant meal. Love the new and refreshed look to Valentine’s Day!!! I love cooking classes…our local Italian restaurant is hosting a few sessions. I’m thinking of signing my hubby and I for one of them! However, I have one more idea to take the pressure off Valentine’s Day…you can do what we did. We have a Valentine’s Day Baby! Trust me, Valentine’s Day takes a whole other meaning after that! LOL! Cheers, to love and friendship not just on February 14th, but every day, and not just those we know, but to all the people we encounter in our daily routines. I agree with you Christina…I usually don’t celebrate “Hallmark” holidays…everyday should be “Valentine’s Day”!! I will be tasting a new cupcake recipe and opening a bottle of wine! Cheers girl! That sounds good to me! Cheers!